A return to any job after extended leave is daunting, but it can be particularly tricky for nurses, said Laura Sutherland, a nursing recruitment consultant. Ms Sutherland says nurses returning to the profession need to be mindful of new technology advances, legislation and reforms, staff structures and new models of care. It’s also important to consider if professional skills are current in specific areas relating to their occupation or specialisation, said Ms Sutherland, and whether they expect to re-enter at the same level. Common reasons nurses leave the profession. It’s important for nurses to consider a variety of opportunities in different nursing specialties, said Ms Sutherland. “For instance, would an emergency department nurse consider an opportunity working in aged care or community services? Ms Sutherland said she encourages those re-entering nursing to consult with a career coach, mentor or trusted industry peer, to help overcome individual challenges that may arise, and to receive valuable guidance and support. “It’s also worth considering that when someone has been out of the workplace for a significant period, prospective employers will naturally ask why. “That's ok, and it's not to catch anyone out, it's just so they can understand motivators and drivers, and find the right fit. “I encourage applicants to be authentic and professional in their responses. “After a long period out of the workforce, and without practise in interviews, their confidence in the recruitment process can be affected. Returning nurses need to perform well in interviews so coaching is beneficial. It’s also important to have a strong CV that clearly articulates key skills and personal attributes, as well relevant experience, said Ms Sutherland. “Guidance can also help identify the type of organisation or employer they align best with. Most often this is based around the culture and values of the organisation and not the pay rate alone,” she said. When returning isn’t an option. Melissa Sole, a registered mental health nurse for five years, experienced professional burnout which resulted in her leaving nursing for two years. “I didn’t want to return to nursing, so I went back to university and retrained as a radiation therapist,” said Ms Sole. “Now I work Monday to Friday in a job where I get heaps of hands-on experience with patients, but I’m also challenged by the science-based role my job entails. “I also run a volunteer organisation for mums, so I don’t think you ever really lose the ‘nurse-hat’ even when you move on. “It takes a certain type of person to decide to be a nurse in the first place, and even though I’ve left I can’t escape the fact that I’m still drawn to roles that require a human connection,” said Ms Sole. Melissa Lichocik, a former registered nurse, left a position in one of Australia’s most respected paediatric hospitals to take extended maternity leave with her first child. Ms Lichocik said after her second child was born, she pursued further study, gaining a post-graduate certificate in human nutrition to became a qualified nutritionist. It wasn’t until the birth of her third child that she longed to return to nursing, but despite her experience and knowledge, it hasn’t been possible. “Unfortunately, if you’ve been out of nursing for an extended period, it’s extremely difficult to get your registration reinstated. “I have been granted a provisional registration but am required to do a set amount of supervised practise hours. “But no employer will hire me under these conditions. I’ve tried numerous hospitals and clinics, but no one is willing to give me a go. “There is a shortage of good nurses, yet it is challenging for nurses to re-enter the workforce. “Some universities offer re-entry programs but course fees are around $10,000, and I can't afford that right now. Re-entry requirements for returning nurses. The Nursing and Midwifery Board of Australia has a fact sheet on recency of practice to assist nurses in understanding re-entry requirements after an extended leave. For further information, nurses can contact the Nursing and Midwifery Board of Australia or refer to their website. Jessica Pham, Media Officer for The Australian College of Nurses, said their Return to Register program is ideal for nurses who have not practised within the profession for a period of more than five years, but not exceeding ten years. “This course is designed for Australian registered and enrolled nurses who wish to return to the nursing workforce. The curriculum has been approved and accredited by the Australian Nursing and Midwifery Accreditation Council,” she said. Haley Williams has a Bachelor of Communication in Journalism and over a decade of experience in the media, marketing and communications industries. She is a widely published journalist with a particular interest in writing magazine features on parenting, health, fitness, nutrition and education. 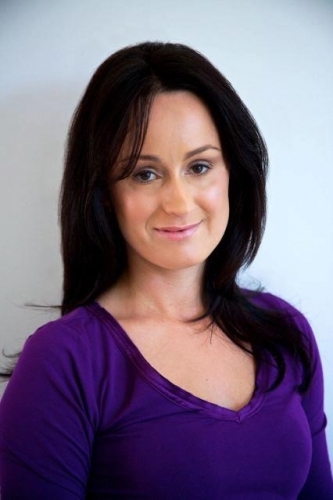 Before becoming a freelance journalist, Haley worked as a writer for NeoLife (a worldwide nutrition company), News Limited and APN News & Media. Haley also has extensive experience as an SEO Content Writer and Digital Marketing Strategist.